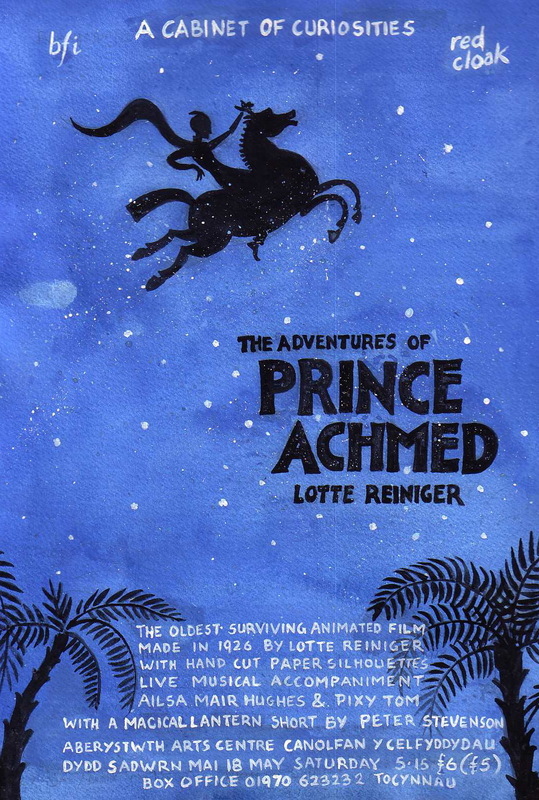 The oldest surviving full length animated film made in 1926 by Lotte Reiniger with silhouette paper cuts. Live music score by Mackerel Sky, featuring an array of instruments, sounds and voices supplied by cellist and singer Ailsa Mair Hughes and multi-instrumentalist Pixy Tom, and with an introductory Magical Illuminarum featurette from A Cabinet of Curiosities, storyteller and illustrator, Peter Stevenson, and an illustrated biography of Lotte. Suitable for children, cinema fans, lovers of fairy tales, musicians, artists, animators and dreamers of all ages.